The CRC provides mediation services in People’s Court. People’s Court is a criminal district court held in the 14th Judicial District of North Carolina for warrants that are generated by one citizen against another. 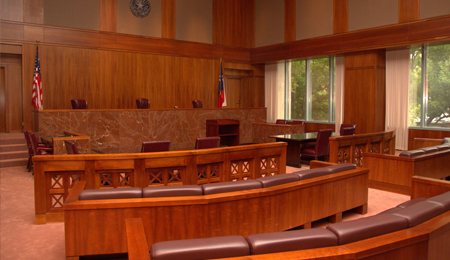 Our mediators attend court and are assigned cases by the judge according to North Carolina General Statute (7A‑38.5). If the the parties reach an agreement the court will dismiss the charges and close the case. When agreement cannot be reached, the parties are free to go back to court for the judge to make a disposition that he/she believes to be appropriate.